Non-US members highlighted to American Treasury Secretary Steve Mnuchin their “unanimous concern and disappointment” with US trade sanctions. In the aftermath of heightened trade tensions with the US, leaders from the G7 meet in Charlevoix, Quebec, today. Last week’s summit of G7 finance ministers and central bank governors highlighted strong divisions in the group, with non-US members highlighting to American Treasury Secretary Steve Mnuchin their “unanimous concern and disappointment” with US trade sanctions. Today, the non-American leaders will continue their vocal commitments to free trade and international action to combat climate change, both issues on which Washington has opposed the international community. Beyond holding sessions on global trade and international climate action, there is little likelihood of the leaders reaching consensus on the final communique. Trump’s six counterparts will unanimously criticise the US’ import tariffs, which both Canadian PM Trudeau and French President Macron have called illegal. 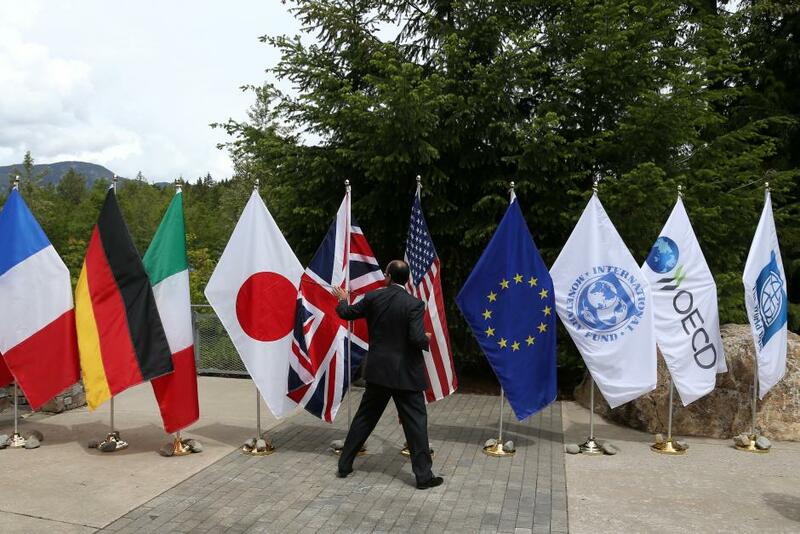 The looming trade war between historically close allies is predicted to have dire economic consequences for all G7 countries. Expect G6 leaders to have little success in forcing a change in Trump’s position. With prospects for a successful joint communique appearing slim due to division amongst the allies, today’s summit will likely produce nothing of substance.